As we transition to a new presidency, one thing we can expect is change. Regardless of your feelings toward the Donald, you can’t argue that his style is very different than Obama’s. However, those who fear change can rest assured that your Top 10 Tekkers of the Week aren’t going anywhere, and we’ve got a fresh batch in store for you. Without any further political talk, let’s get into it. Go to any middle school and chances are you’ll find a group of kids attempting the elusive water bottle flip. Here we see a young footballer not only hitting a target with his shot, but executing a perfect bottle flip as well. Who says knuckleballs are only for baseball? Trick shot extraordinaire Kai fills up a stability ball with helium and madness ensues. You can’t be great without a solid foundation. 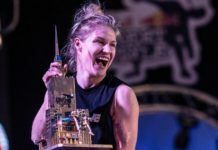 Red Bull Street Style competitor and top freestylers Aguska practices some basic upper moves to prove it. Sometimes you don’t need to score to get the crowd going. We see hard evidence of that here with this soul-crushing panna, reminiscent of a basketball player getting his ankles broken by a crossover. 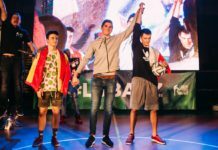 Along with gymnastics, breakdancing is an art form that goes hand in hand with freestyle. Here, we see Aleg-Re crew member i-zu show off some breakdance-inspired moves, complete with a 360-spin and no-look stall. 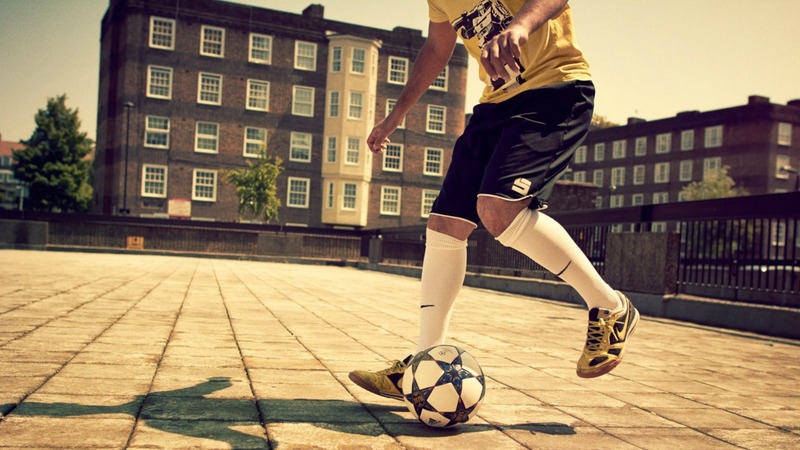 Sometimes slow motion is the only way to fully appreciate a freestyler’s moves. In this video, Iago Vitorini shows some impressive skill as he executes a move inspired by the Lebioda ATW. With all the crazy moves and goals we see in futsal, it is easy to overlook the play of the goalie. Raúl Jiménez López of Spanish futsal team Club Deportivo Xota makes some unreal saves en route to his team’s victory. Those with vertigo should probably refrain from watching this. Panna champion Ilyas Nasri shows off his ridiculous ground moves and adds some flair as well, with a Michael Jackson-esque twirl. Stop. I know what you’re thinking. Don’t say it. Do us all a favor and leave “Damn, Daniel” in 2016. Now that that’s taken care of, we can properly enjoy Irish freestyle champion Daniel Dennehy’s sick moves, which include a bevy of mind-boggling ATWs. 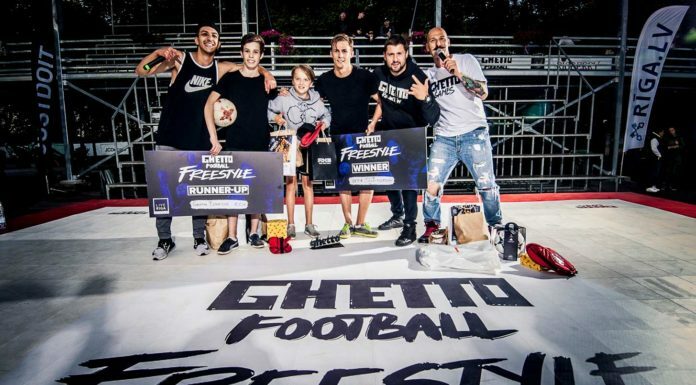 Online football stars F2 Freestylers are known for their high-energy videos including some incredible trick shots. Here we see a little bit of juggling before they knock a long-distance shot into a garbage can.